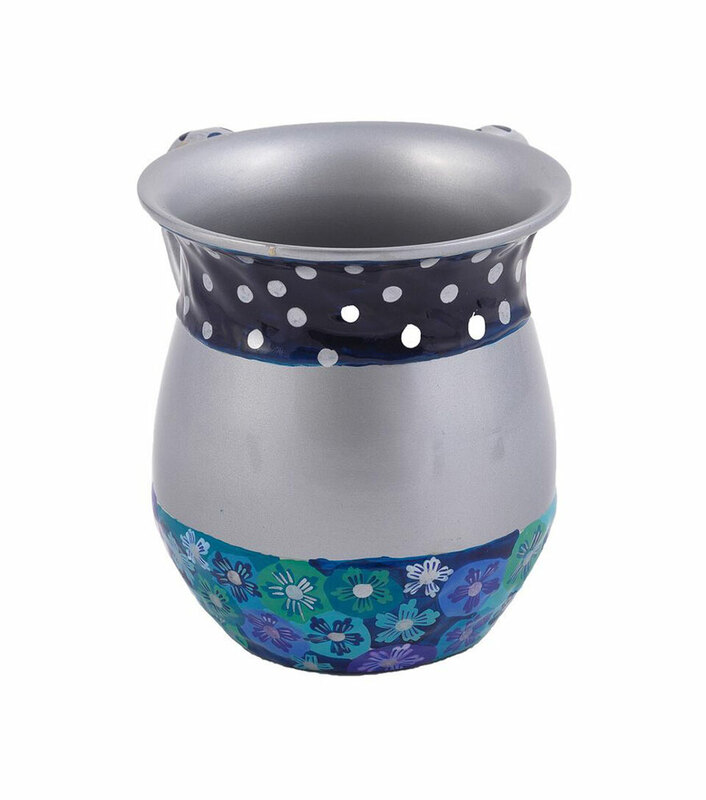 Blue Metal Wash Cup with Painted Fimo. An elegant Washing Netilat Yadayim cup, great to own or to give. The leading source of Jewish Holiday Judaica, for Hanukkah, Passover, Rosh Hashanah, Sukkos, Yom Kippur you name it we have all the Judaica and religious articles you may need for your Jewish Holiday celebrations, for any questions you may contact us at 1800-336-2291.